i-manager’s Journal on Power Systems is to bring out the latest research trends in the power sector that combines academia and industry alike. 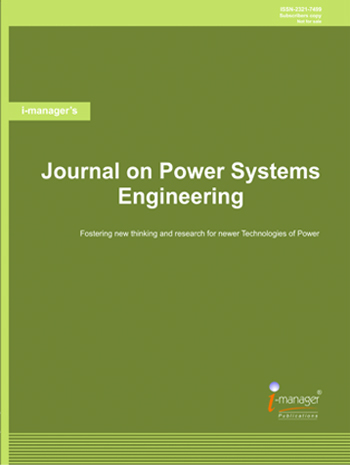 The objective of the Journal on Power Systems is to provide a forum for the exchange of scientific and technical information related to electric power systems, power systems monitoring, automatic control, power electronics, high-voltage engineering, conventional operation and digital communication systems, that address researchers, Industrial Engineers, Lecturers and senior students in Electrical Engineering. The Journal follows a double blind peer-review process. The submitted articles / research papers are reviewed by Professors / Educators in Electrical field. Academicians, practitioners and post-graduate students in the field of Power Systems Engineering, University Educational Bodies, Researchers, etc.